Check out the movie trailer below for Into the Woods, a Disney movie opening on Christmas. It is the first Tuesday of the month this week so it is time to head over to your local LEGO store for their monthly mini-build. For ages 6-14 only, the event starts at 5 pm. 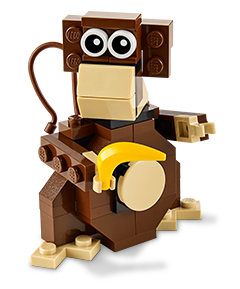 For August, the build is a monkey. Looks kinda cool. A four-pack of Mystic Pass Cards, allowing free admission to Mystic Seaport and Mystic Aquarium plus discounts throughout the area! A complimentary two-night stay at the historic Inn at Mystic, complete with breakfast and use of kayaks. Four passes to the award-winning Mashantucket Pequot Museum, the world's largest museum devoted to Native American heritage. A family-four pack of tickets to The Dinosaur Place at Nature's Art Village's outdoor adventure, where you can encounter over 40 life-sized dinosaurs. $150 in Mystic restaurant gift cards to Go Fish!, Steak Loft, & Ten Clams. The winning package is valid for one year from contest end, August 27, 2014. Winner must be fans of Mystic Country CT on Facebook and will be notified by email on August 28, 2014. Winners have 7 days to respond after which a new winner will be selected. Hotel room is based on availability on winner’s selected consecutive dates. No purchase necessary to enter. Our great friends over at Winning Moves Games are giving away more games again. This time a Deluxe Super Scrabble set. Want to win it? All you have to do is enter below and wait and see who won. And be based in the US. And be 18+ again. Here's a giveaway with five winners that is open to US and CA residents. Each includes a case of deck cleaner and waterproofing stain. You have through 8/14 to enter. Are you ready for some DIY work if you win? Good luck. Homeowners who would rather take it easy on their decks will find a new line of Thompson’s® WaterSeal® Waterproofing Stain that makes deck care just that -- easier on them. The new line, at The Home Depot, offers multiple features that make it easier to choose and use the right deck stain. Thank you Matt Allen. 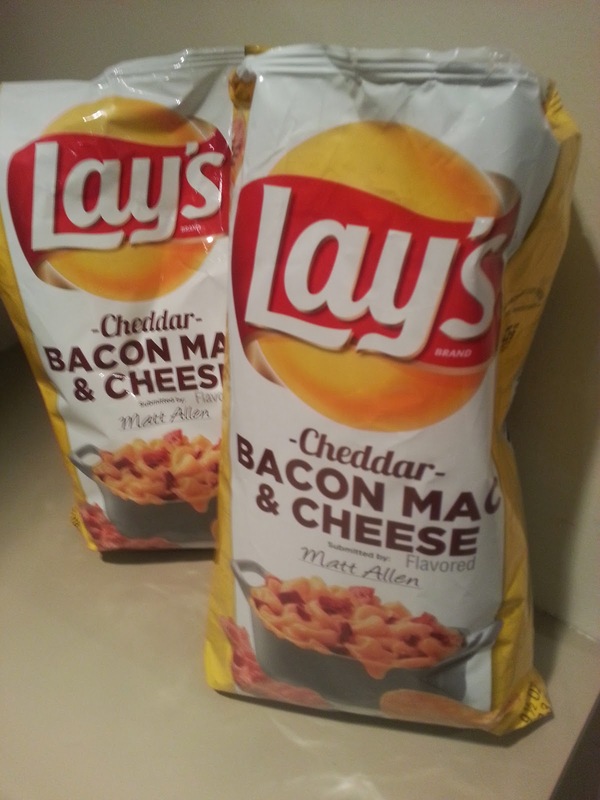 The finalists for the Lay's Do Us a Flavor contest are up. The four finalists are Cheddar Bacon Mac & Cheese, Cappuccino, Wavy Mango Salsa, and Kettle Cooked Wasabi Ginger. Of all the four, I only like the sound of the Bacon Mac & Cheese. You can vote for your favorite over at the Lay's site. Watch the video below to see how you can maintain a customer relationship management (CRM) database for your company using the cloud-based Insightly platform. Here's a chance to win one of two $100 gift cards to Amazon. You must be an owner of an iOS device (iPhone, iPad) as it requires leaving a review on iTunes. Kids Academy is all about helping children learn verbal, writing and math skills in an easy and fun manner. Apps such as 123 Tracing and Bingo ABC have been top-50 educational apps in the App Store, and Kids Academy has also brought the well-known stories and nursery rhymes The Three Little Pigs and Five Little Monkeys to life with interactive apps. The simple interfaces of the apps allow children to take the reins and play on their own, but the sing-a-longs and other activities are perfect for parent or teacher engagement, as well. 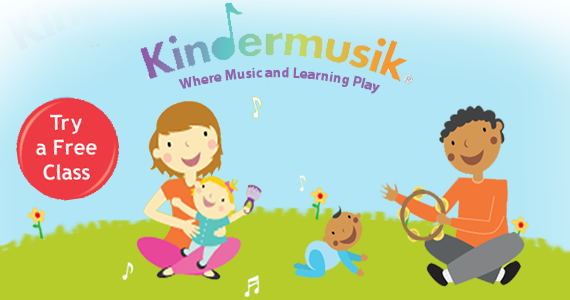 Research has shown that singing along with nursery rhymes has cognitive and physical benefits for children. Not only are children learning new words and the context in which to use them, but strengthening tongue and mouth muscles at an early age will help with pronunciation skills. We gave away one of these boxes in the spring. Here's your second chance to win one. It is a trial subscription box from Loot Crate, with a bit of a geeky flare. You have through 8/16 to enter. Continental US only here. Good luck. Who wants to win some windchimes? 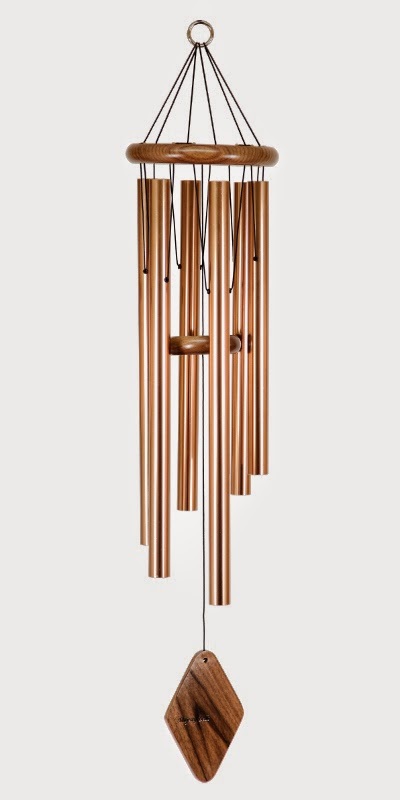 We've had windchimes giveaways in the past, and they were very popular. Don't miss out this time. Continental US residents have through 8/20 to enter. Good luck. 1 - Lucky winner will receive a set of Majesty Bells 37"
bring you a giveaway for a set of Majesty Bells 37" Peaceful Melody Windchimes. Would you spend $4,000 on a bicycle? You don't have to if you're lucky enough to enter to win the one being given away here. You have through the end of August to try and win. Good luck. 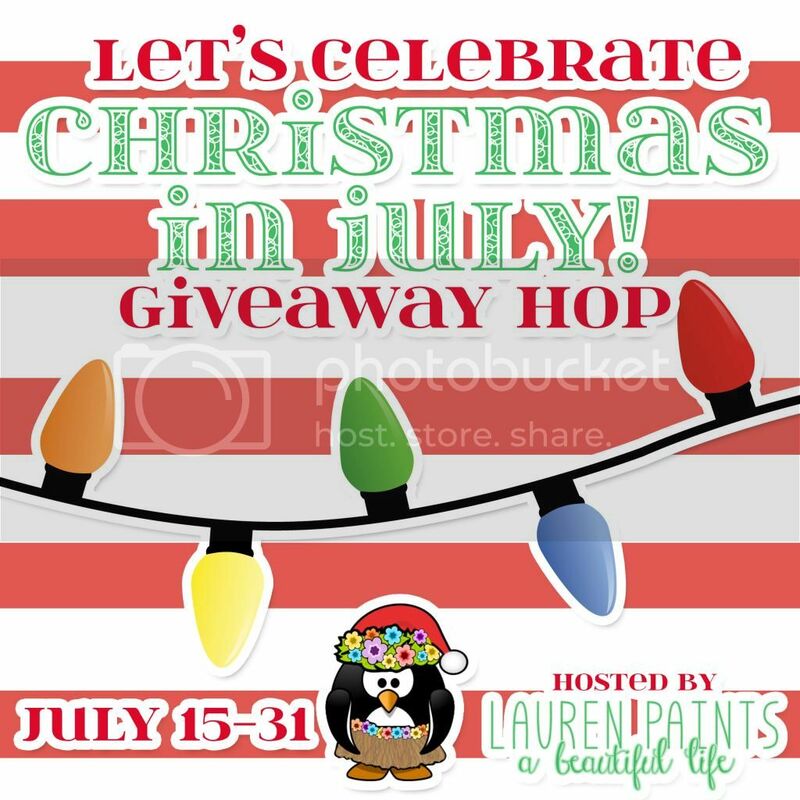 The Christmas in July Giveaway Hop ends today. Our giveaway for the hop is a $75 Teleflora gift card giveaway. There are 23 other giveaways going on at the same time that are ending tonight, too. Here are some of my favorites. Back to school is coming fast and everyone needs a backpack. Here's a chance to win a new one from Pattern LA. More of little girls than the boys, don't miss out. 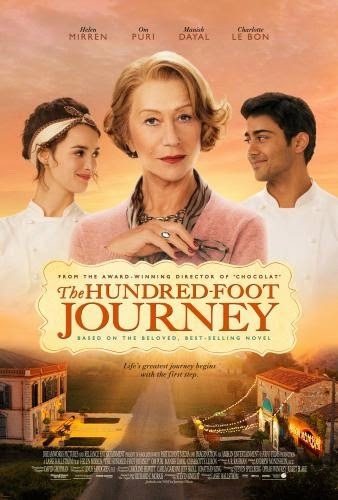 Continental US entrants only, giveaway ends 8/20. I have always loved getting ready for going back to school. There's just something about all the new school supplies, pencils, pens, fun notebooks and paper and of course a new back pack. So many of them are super cute now. Pattern LA is no exception to cute new school supplies! They have introduced some fantastic new Back Packs and Essentials Cases just in time for the new school year. The minute I saw them I loved them. The colors are so bright and the fabric patterns are so cute! Each of the Back Packs and Essentials Cases are made from a laminated cotton, so they will hold up to lots of use and abuse during the school year. The Back Packs have adjustable straps and plenty of pockets and room for all kinds of school supplies. And they come in four fabulous colors; Fleur Berry, Fleur Carrot, Fleur Orchid, and Fleur Teal. The Essentials Cases are definitely something I would carry all the time in my purse or all by itself. The Essentials Case is made from the same laminated cotton fabric in the same bright colors and print as the Back Packs so you can match or coordinate your look. The inside of the Essentials Case has plenty of room for all kinds of school needs, or to be used as a wallet or travel case. It's big enough to hold all your needs for travel from your passport, travel documents, currency and more. It opens flat too for super easy use and access. So it's perfect for your school kids and for you too! Right now Pattern LA has an awesome sale to help you get these amazing, fun new products at a 25% discount! WOW!! Just use the code PATTERN25 when you check out and you will receive the discount on your total purchase!! You're going to want to subscribe to Pattern LA's email newsletter so you can keep up with all the latest products and sales they have! Subscribe HERE Located in the upper left corner. And just for all of you, my readers, Pattern LA is offering to give one of you your own Chloe Back Pack in your choice of color!! How nice is that? Use the Rafflecopter form below to enter! I'm always fond of gift card giveaways. This time, we're giving away TEN of them to ten different places, each valued at $100. That's a total of $1,000 worth of prizes in total. Win and be styling when the kiddies go back to school. Check out all the sponsors below. Good luck. I'm always a fan of finding those unique giveaways to help promote. 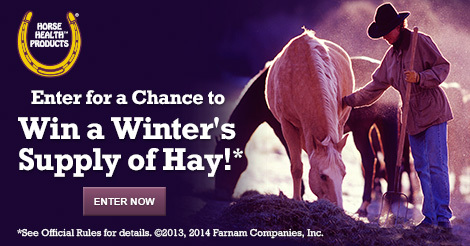 Here is one where you can win a winter's supply of hay, up to $10,000 worth. 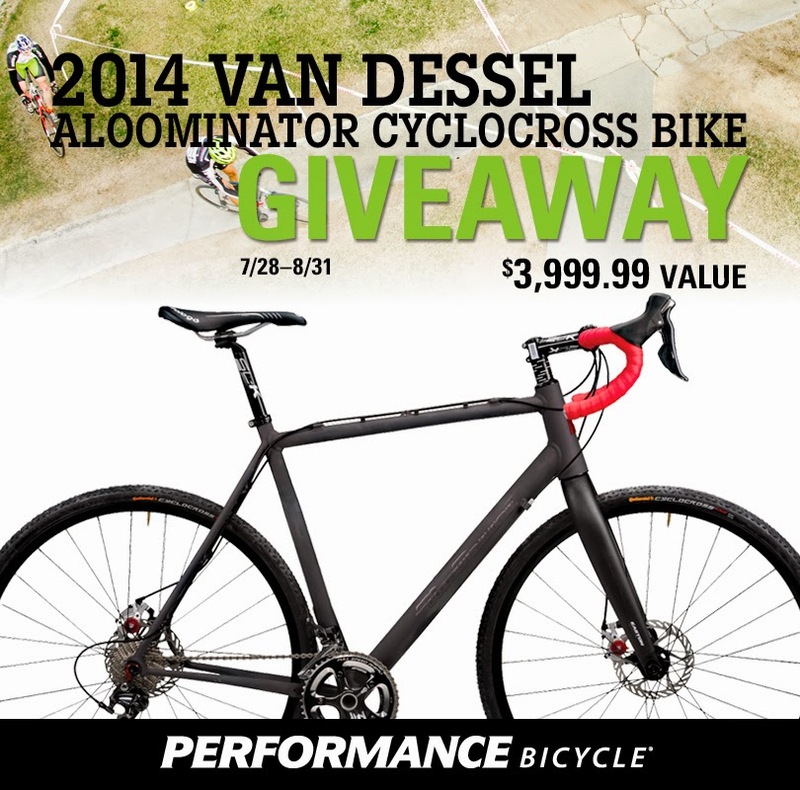 You have through September 30th, 2014 to enter. Signup for our latest free blogger opp below. Get a free Facebook, Twitter, Pinterest, or Instagram link for posting the announcement. Then promote once event starts in a couple days. Come back next month to win the box of tea K-Cups. PaulaMS’ Giveaways, Reviews, & Freebies is hosting a giveaway for a 40 count Variety Pack Prospect Tea and needs your help promoting it! 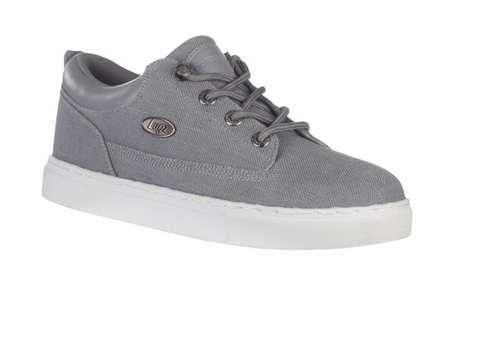 Need some casual shoes for the male in your life? Here's a chance to win a pair of Lugz for men. You can enter to win the shoes through August 8th, provided you are in the United States. The style seems set, but certainly not the size. Lugz and Rosey The Coupon Coach! Meet the Gypsum Lo from Lugz! This casual men's style is not only comfortable but stylish enough to use with jeans or a nice pair of casual pants. You can win your very own pair of these fabulous shoes valued at $45.00! Do your kids love video games? Do you have a LEGO lover in your house? Then you should know that July 29th, LEGO Ninjago Nindroids was released for the Nintendo 3DS™ and Playstation®Vita™!!! There seems to be a run on Target gift card giveaways of late. If you'd rather see some different prizes, let me know and when I look for other giveaways to join in on, I'll look for them. Personally, I'm not complaining about Target GCs. I can use them as fast as Amazon ones. You have through 8/11 to enter to win and it is US only. Good luck. Java John Z's, Giveaway Goddess, TomboyAngel, and several other awesome bloggers are joining Beachbody Coach Christine Horchak for an awesome $50 Target Gift Card Giveaway! The summer will soon be coming to a close and Back to School will be in full effect! Spend it on school supplies, clothes, groceries, whatever you want! Enter the Rafflecopter at the bottom of this post for your chance to win! When I first saw the pictures of these, I kept wondering what in the world are these. Be sure to read more about this carry-all for the traveling toddler. Looks kinda cool. The giveaway itself is US only and runs through 8/12. Good luck. 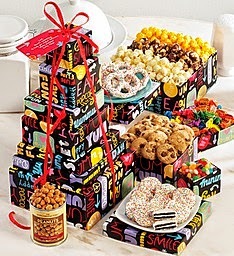 Java John Z's is excited to be partnering up with several other great blogs to bring you this fun giveaway. If you like you may head over and read Amy's review of the ZUCA Mini and see what all they have to offer a traveling toddler. As the beach season hits its peak, we have a big giveaway for just such a season, with over $800 in prizes. 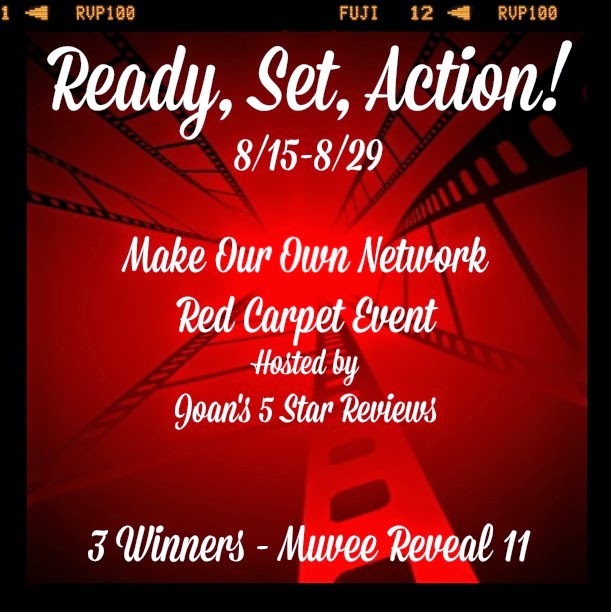 Be sure to check out all the prizes for the one and only one winner. Giveaway is US only and runs through 8/11. Good luck. 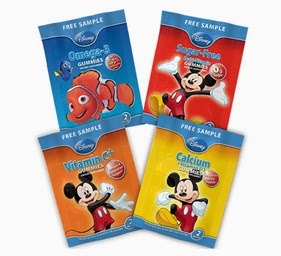 Pickup a free sample of Disney Gummy Vitamins from NatureSmart. 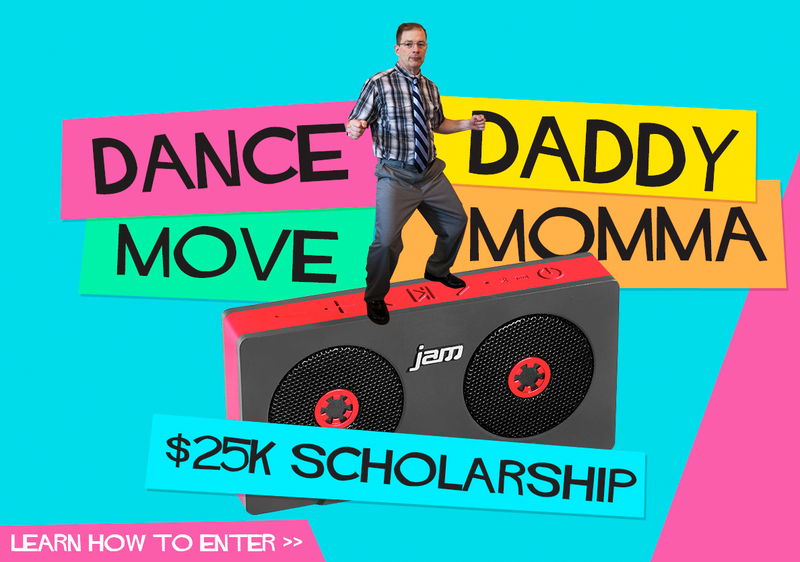 Want to win a $25,000 scholarship for your kid? Willing to embarrass yourself for it? Record yourself dancing for 5-15 seconds and post to Instagram/Vine and they can win an academic scholarship. Are you into subscription boxes? Here's one that is for eco-friendly, natural crowd. 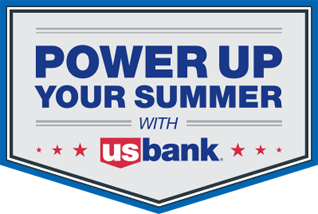 US residents have until 8/9 to enter to win. Good luck. Sign up by August 12th to participate in our next blogger opportunity that is part of the MOON group. There will be three winners of this video editing software. Not part of the group yet? Sign up is free.